Well, I hope you have all had a great Easter, and managed to grab a few days off with lots of chocolate, catching up with family and friends, or possibly getting some much deserved sun somewhere nice and warm. Its shocking to know it’s April already and I’m here again with the monthly blog - a bit later than normal as it’s been back to back weddings here for the last few weeks, and we have just had this years Spring Wedding Fayre, which was exciting, and very busy. I have to say this year does seem to be running away with us a tad. Seasonally, when I look around it’s fairly obvious that spring has finally sprung at Skylarks, and if I say so myself it’s looking good here both inside and out. In the last 3 months, we have had some amazing couples tie the knot in our ceremony room, who went on to party the night away in our wedding barn with their friends and family. 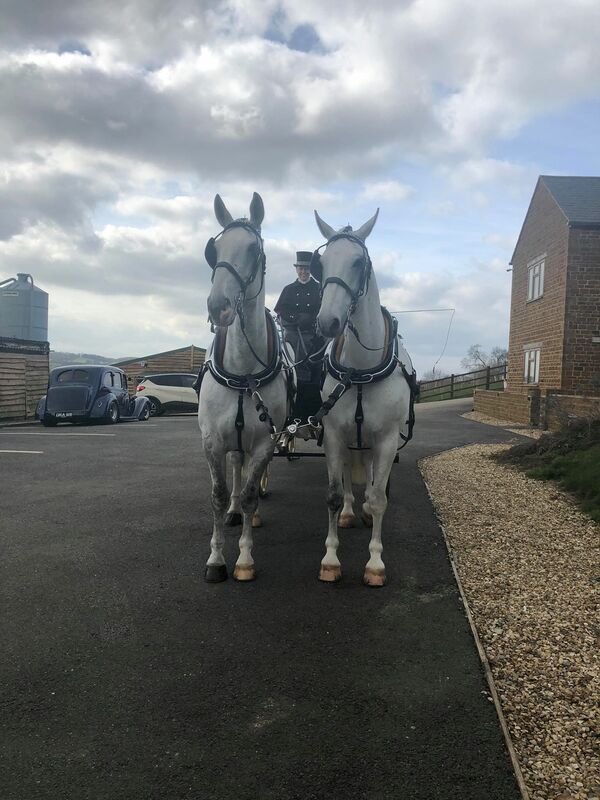 We’ve seen, a highland fling, singing waiters, a thriller inspired wedding dance, a few Mrs and Mrs ceremonies (which were beautifully inspiring), a vintage carriage pulled by the most majestic white horses, vintage VWs, classic cars and some stunning cakes and floral displays. With this seasons popular colours being indigo, silver and various shades of grey (no pun intended) a truly sophisticated combination that sits perfectly with every theme, from vintage to geo. Skylarks has seen lots of variations of this colour scheme this season all of them have been stunning. I have noticed one trend in particular that seems very popular this season and to be fair - I can see why, floral hoops and foliage back drops - simply gorgeous. As Skylarks wedding coordinator it’s important that I keep up to date with all the upcoming trends, and equally important that I know which suppliers can provide great services and products for our couples. There are a number of great suppliers that regular visit our venue and I wish I could put them all in our brochure. Incidentally, if you’re thinking of saying “I Do” and haven’t found your venue yet, get in touch and we will send you our very glossy brochure or better still come and see us, and have a look round. I can promise you will not be disappointed. I thought I might mention at this point, that we do have set wedding packages, but we also bespoke our packages to suit, so please just ask - I am sure we can help. So on that note, I think I might just pop on my boots, and have a little wander around our little patch of perfect that we call home.